An encoding program that quickly and easily converts video to your liking! GOM Encoder is powerful all-purpose video conversion software for Windows PC. Not only does it support a wide variety of input and output formats, but also most videos which can be played with GOM Player can be converted by GOM Encoder. Enjoy our free trial GOM Encoder, easy all-in-one solution for you. Also Available: Download GOM Cam - The most complete recording program possible to edit video at once! If you are a multi-core processor user, you can convert multiple files at the same time. Intuitive user-interface and built in conversion presets make GOM Encoder easy for anyone to use. Not only that, it also boasts faster conversion speeds than other video converters. Users with multi-core processors can use the multi-conversion function to convert several files simultaneously. Support for Intel Quick Sync Video lets you convert videos at blinding speeds (only available on PCs that are Intel Quick Sync Video enabled). Users with multi-core processors can convert multiple files simultaneously (multi-conversion). Screencap function lets you capture still images from video files. Snapshot Preview function lets you create a preview image compiled from still images taken from various points in the video. Merge function allows two or more video or audio video files to be combined into a single file. Preset Output Settings to make converting for specific devices easier. Segment video and audio files and convert only the desired sections. Convert audio from videos or various music files into MP3 or AAC. Use the DSC (Direct Stream Copy) function to change the container of your video without altering the format. 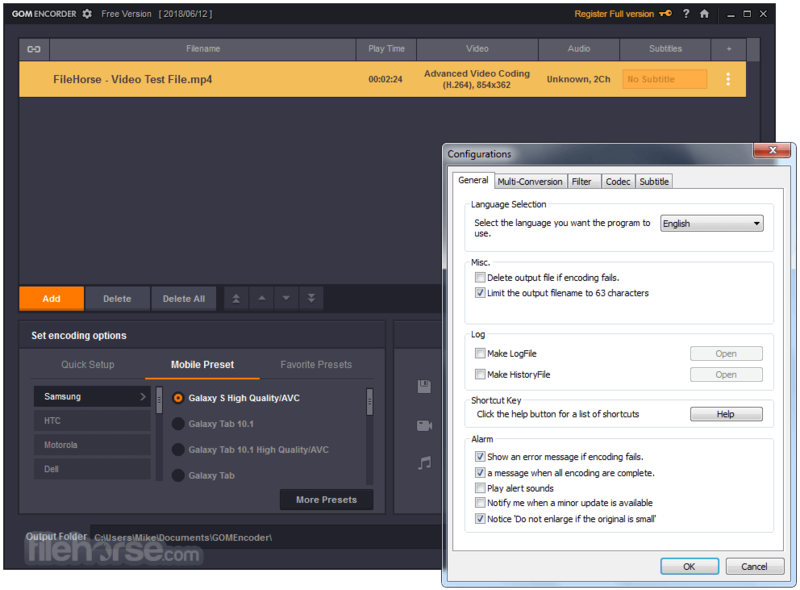 Output Closed Caption with subtitle files (.srt/.smi) when converting to MP4. 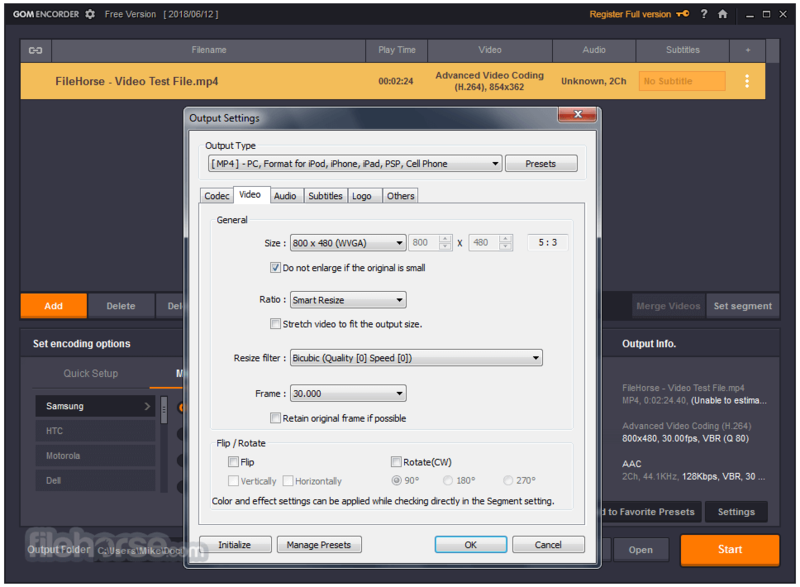 Split Video function allows a file to be separated into two or more files. Adjust brightness, contrast, hue, and saturation. Apply Video Effects (Deblock / Smoothen / Sharpen / Deinterlace / Flip Vertically / Flip Horizontally). Embed a personal Logo or watermark on converted videos. Play speed change function support. Create high quality videos with 2PASS encoding.